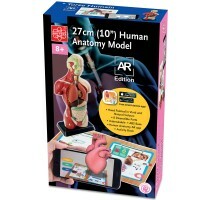 The 4D Human Exploded Skull Anatomy Model for children includes 17 detachable parts and illustrated guide to study the anatomy of human head. How does the jaw work? 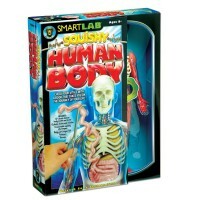 Where does the spinal cord enter the skull? 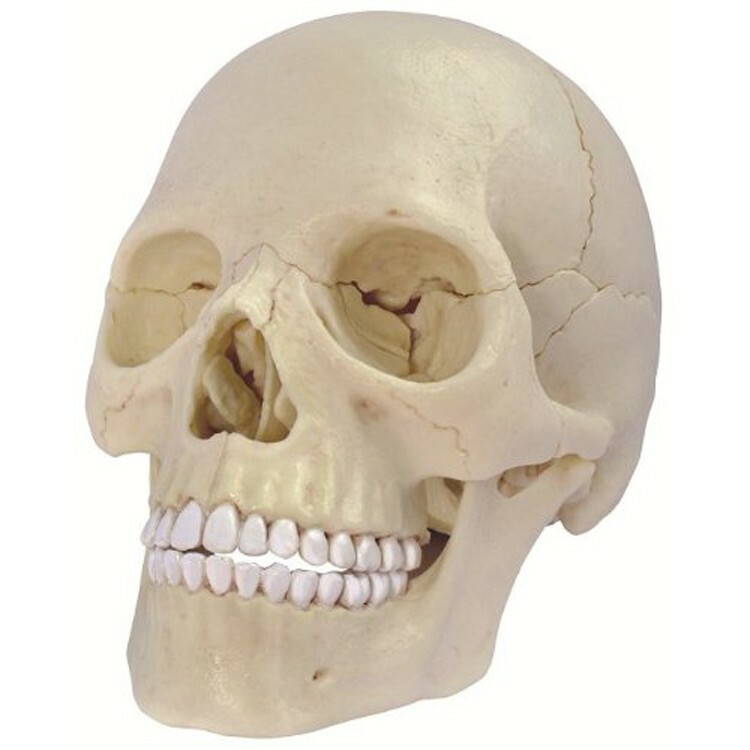 What bones are around the eye? 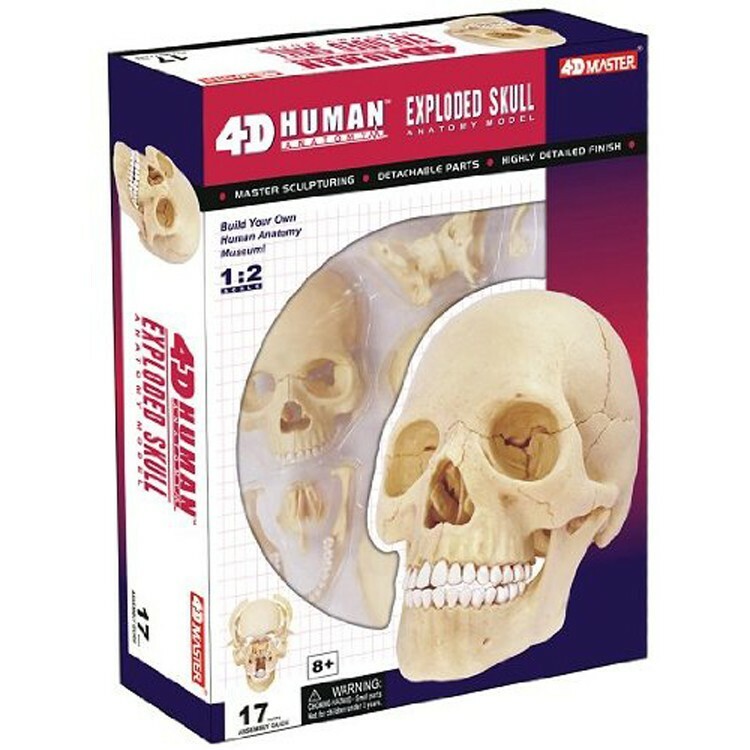 Find out the answers to these and many more skull-related questions with the 4D Human Exploded Skull Anatomy Model by 4D Master. 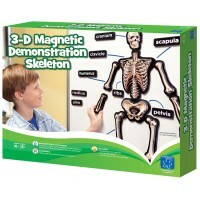 This hands-on science learning toy contains replicas of 17 bones in the human skull at a 1:2 scale. 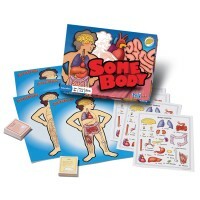 The highly detailed pieces can be examined separately or put together for an interactive anatomical education experience. 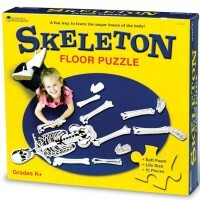 The accurately replicated bones fit together like a 3D puzzle and will create a half scale replica of the human skull. 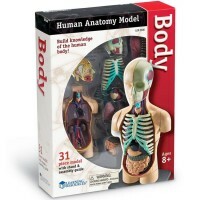 The 4D Human Exploded Skull Anatomy Toy Model from Educational Toys Planet also contains an assembly guide with instructions on how to build the skull model. 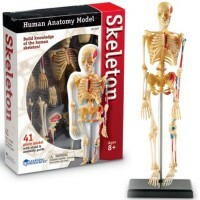 Piecing together this literally jaw-dropping 3D model one bone at a time will serve to help children learn about the structure and function of bones in the skull. This human skull 3D puzzles measures 5.75 inches assembled. 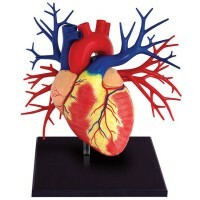 Dimensions of package 9" x 11.7" x 2.8"
Write your own review of 4D Human Exploded Skull Anatomy Model.